Of all countries to spearhead a global drive to combat global warming, Pakistan is possibly the worst equipped. But it may also be among the most motivated. Pakistan is already among the countries worst hit by climate change, if the criteria is unbearable heat. 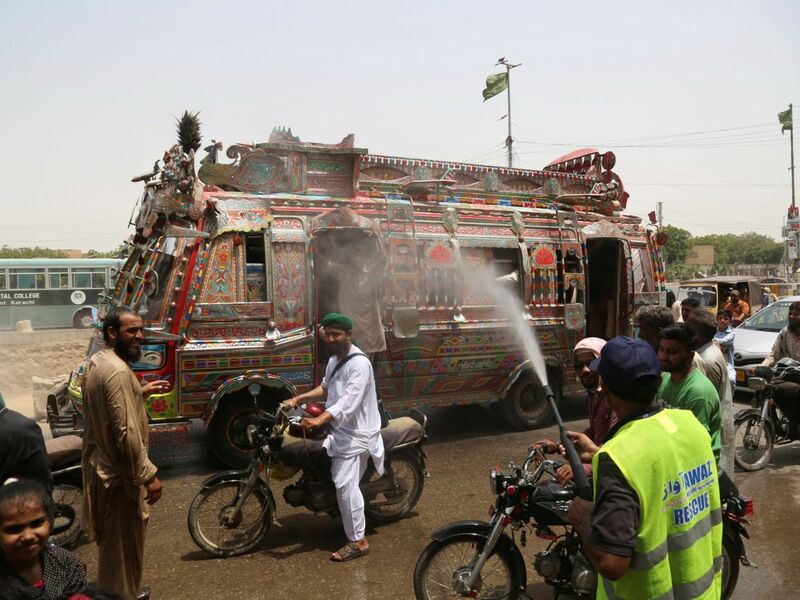 In April, the town of Nawabshah experienced a temperature of 50.2º Celsius (122.4º Fahrenheit) in the shade – the hottest temperature ever recorded anywhere in the world for that month. 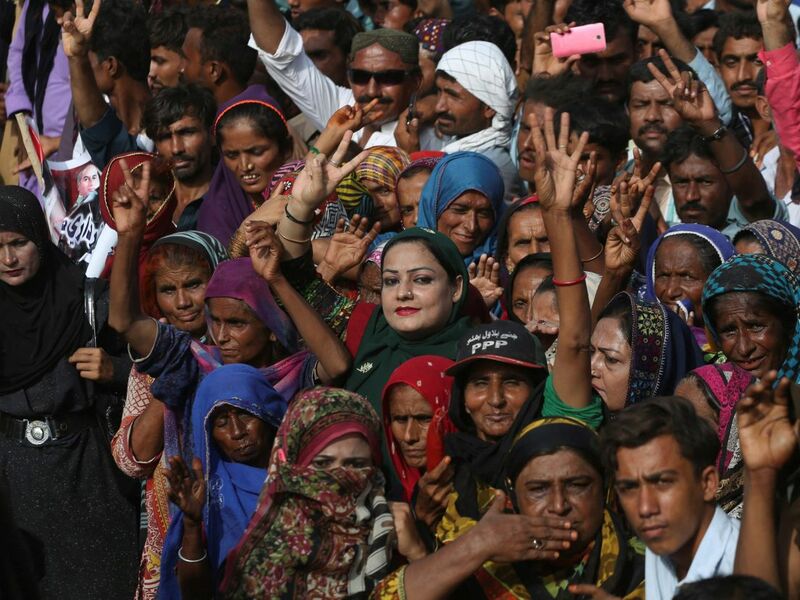 In May, doctors advised the public to wear light-colored clothing to reflect sunlight and Karachiites begged the city to set up heatstroke shelters. Food security in the Indian subcontinent depends on the monsoon, which may diminish as global warming intensifies, scientists warn. 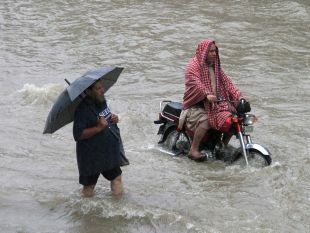 This year at least, the monsoon is expected to be “as usual,” says a source in Pakistan. 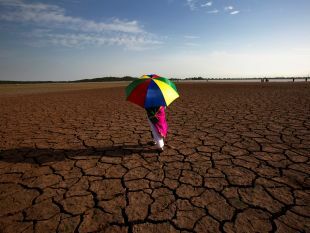 But Pakistan is already running a significant water deficit and the forecast for the Indian subcontinent, which houses a fifth of the world’s population, is grim. And the people sense the change and are afraid. Faisal lives in north Karachi and works in the city’s south, which is a long trip to make daily. “The major anomaly we have witnessed recently, regarding climate change, is that there is no rain in the entire city at once. One area gets wet and another is completely dry and warm,” he says: precipitation patterns are changing. “Water shortage, especially during heat waves, is the aspect killing us the most. The dust in the air makes it uncomfortable to breathe deeply,” Faisal says. The Intergovernmental Panel on Climate Change has created climate change scenarios based on projected trends and rates of industrialization, energy use and population growth, explains Prof. Steve Brenner of Bar-Ilan University, Ramat Gan. The panel refers to its scenarios as “representative concentration pathways” (RCPs). 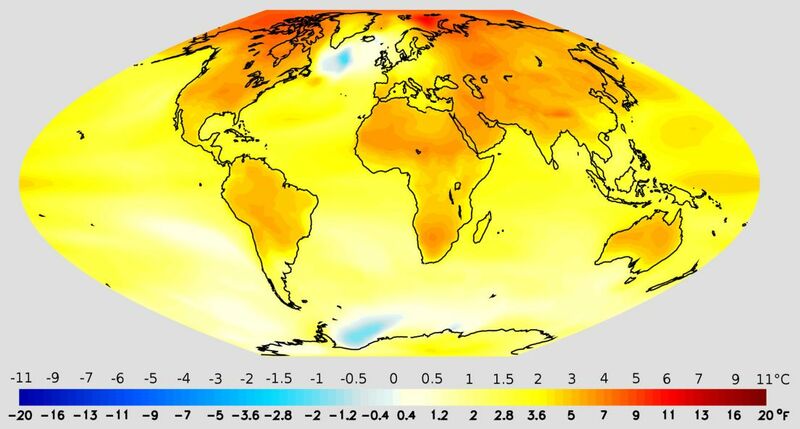 The “stop all emissions” scenario, RCP-2.6, assumes that greenhouse gas emissions peak in 2020 and vanish by 2080; the average global temperature may rise by 0.3º to 1.7º Celsius by 2100, Brenner explains. The intermediate scenario, RCP-4.5, assumes emissions peak in 2050 and then decline; the projected temperature increase is 1.1º to 2.6º Celsius. The worst-case scenario, RCP-8.5, assumes emissions rise even faster, more than doubling by 2100. The projected temperature increase is 2.6º to 4.8º Celsius. Those figures are projected global averages. In Pakistan and the subcontinent, by 2100 the annual mean temperature is expected to rise by anywhere from at least 3°C and up to 6°C. In August 2017, Pakistan inaugurated a Ministry of Climate Change and gave it $70 million for that year and 2018, out of the national budget of $51 billion. Less impressively, that funding was quickly slashed to less than $7 million for 2018-2019. Pressed by reporters, Mushahidullah Khan – who headed the ministry until May (when the government term expired) – explained that the ministry’s mandate is to make policy, not execute it. Pakistan is allocating 8 percent of its budget to address climate change, he said. But when asked about concrete achievements during his short term, all Khan noted was building work commencing on a botanical garden in Islamabad and work on the ministry’s website. 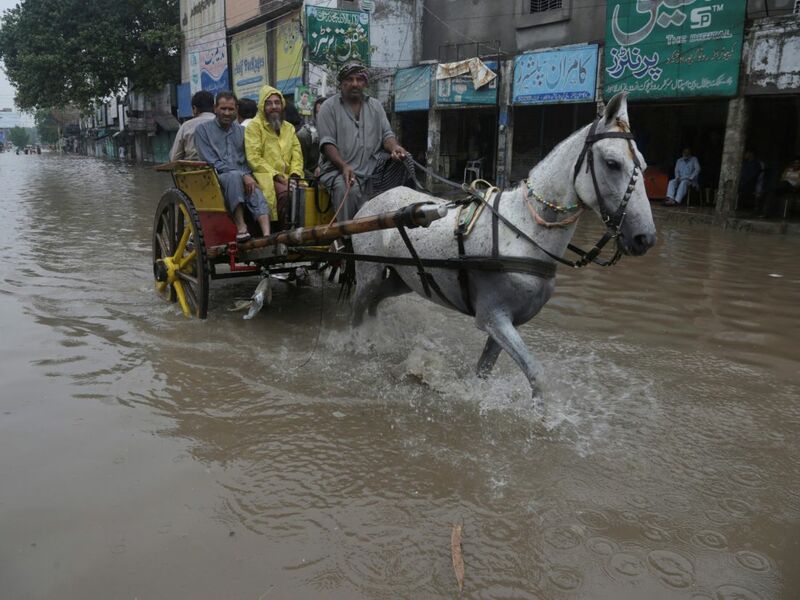 Islamabad at least isn’t denying that climate change is a thing, as some in the West do. The question is what it can do, and will do. Pakistan’s average mean temperature has risen by 0.5°C in the last 50 years, says a 2017 report by the Asia Development Bank. 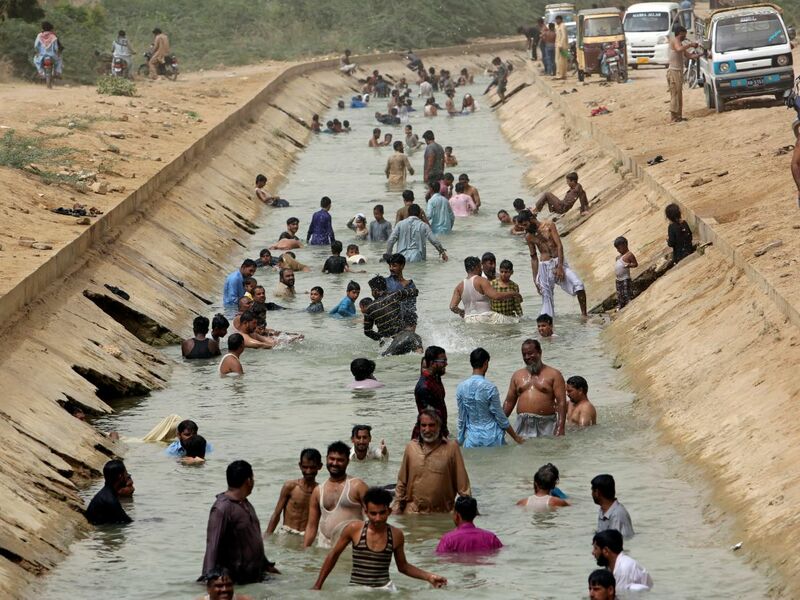 Hot days are hotter, and the number of heat-wave days per year in Pakistan jumped fivefold in the last 30 years. In humid conditions, sweat can’t evaporate and the body can’t cool down, so the survivable heat level is lower. In two decades, the think tank Germanwatch estimates, more than 10,000 Pakistanis died from extreme weather. For 2016, Germanwatch’s Global Climate Risk Index ranked India as the sixth-worst sufferer from extreme weather and Pakistan 40th (the worst hit was Haiti, followed by Zimbabwe.) But over two decades, from 1997 to 2016, the index ranks Pakistan’s climate change suffering in seventh place and India in 12th. 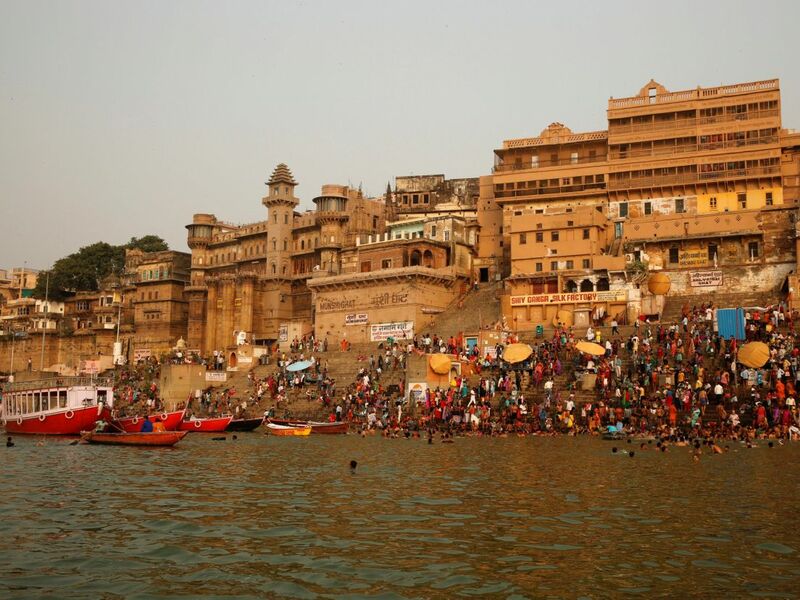 By 2100, summer heat and humidity in the subcontinent are expected to reach unsurvivable levels. Dipping into the sea to cool off is evidently not going to be the answer because the seawater itself is warming – or because of its befoulment with sewage. The problems of Pakistan start with the present climatic ravages and the shortcomings of government, compounded by inability and lack of resources. And then there’s the neighborhood. Since 2010, the Indian economy has doubled in size. Even if you suspect the numbers are as cooked as a curry, India’s sheer scale and growing demand for energy render it crucial to the climate change story. It is expected to become the biggest contributor to global warming – passing the United States and China – as its economic development and population growth ramp up the demand for energy, and emissions. Not only are Pakistan, India and Bangladesh in the same flimsy boat: It’s adding insult to injury for Islamabad that its nemesis is blowing smoke, from emissions and burning mountains of garbage, right into its face (or that of Bangladesh, on India’s eastern side). All three are spectacularly unequipped to invest heavily in means to combat climate change. Pakistan’s GDP per capita is about $1,470, somewhat under India’s and just over that of Bangladesh. All are plagued by lip service to governance. Assuming India and its 1.4 billion people don’t volunteer to revert to the Stone Age in order to spare the planet, the Financial Times estimated that over the next 20 years, India alone will become responsible for almost all the increase in total global emissions. Pakistan can’t change that any more than you could save a burning office tower by tossing your cup of coffee at it. What Pakistan could feasibly do is alleviate local distress, which will take more than lip service and building botanical gardens. There are three things thirsty countries like Pakistan need to do, spells out Uri Schor, spokesman of the Israel Water Authority: prevent waste (the world loses vast amounts of freshwater to leakage and silly use); prevent water theft; and teach people to water economy. It’s easy to blame amorphous authorities for mere lip service. It’s more difficult to accept the need for personal sacrifice. But the basis for change, Schor stresses, lies in public acceptance. Pakistan is running dry. The roughly 21 million Karachiites routinely get only half the UN-recommended daily water allocation, a source in the city told Haaretz. 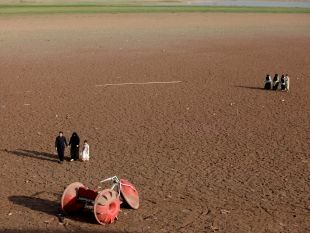 Per capita annual water availability in Pakistan has plunged from 1,500 cubic meters per capita in 2009 to 1,015 cubic meters now, which is on the brink of water scarcity, according to the International Monetary Fund. The water deficit isn’t because of desertification or even because of climate change, yet. It’s because of explosive population growth, urbanization, and ecological and resource mismanagement. But the water stress, which both the UN and IMF describe, can only intensify: the population is growing; hotter temperatures means more evaporation from fields and more need for irrigation; and sea-level rise is already causing saltwater intrusion on the coasts. Most of Pakistan’s water supply comes from the Indus River, which originates from snow and ice in the Tibetan Plateau and cuts through the country. According to the UN Development Programme, 90 percent of Pakistan’s agriculture depends on this river. What is climate change expected to do to the Himalayan snowpack and glaciers, though? “This is a difficult question to answer due to the large uncertainty,” says Brenner. Some project that the Himalayan snowpack and glaciers will shrink faster through this century and possibly disappear entirely in some regions, he says. 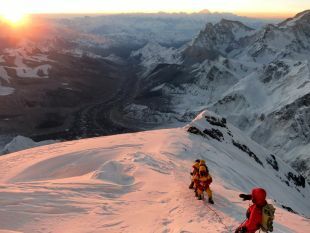 But the uncertainties are immense, he stresses: In 2010, the IPCC retracted the conclusion reached three years earlier, that the Himalayan glaciers could disappear by 2035. “They apologized for basing this on poorly substantiated estimates from an unrefereed report,” Brenner adds. So, we don’t know what will happen to the snowpack, the glaciers and the immense rivers they feed. If there’s good news, it’s that experts don’t necessarily expect climate change to affect rainfall on Pakistan. But they do anticipate that storms will become more intense – which means worse flooding. 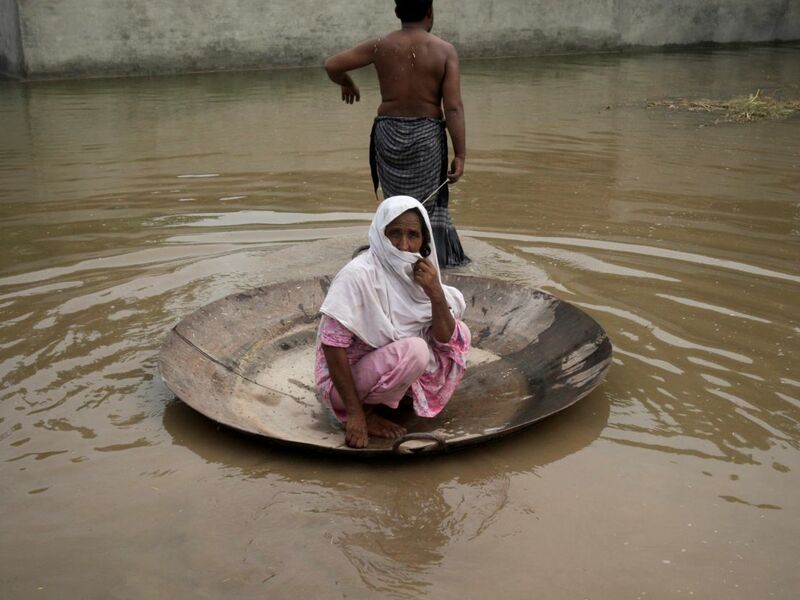 Flooding is just bad news for Pakistan and Bangladesh, which, in contrast to India, have not invested in dams or reservoirs to cache floodwaters and seasonal deluges, say experts. They do not “save” the floodwater for later use. In fact, India has been arguing to international watchdogs that it should be allowed to take more water from the mighty Indus – and other rivers that are Pakistan’s fief under a 1960 treaty – because Pakistan is so useless at utilizing them anyway. Islamabad, for its part, has growled back that India is grabbing water from “its” river, the Jhelum. 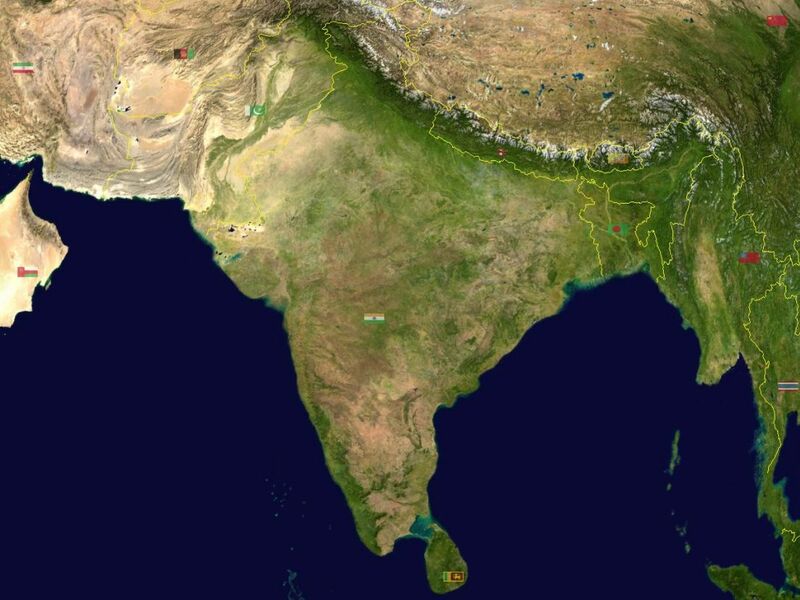 Bangladesh also claims that India is taking more than its share from the Ganges. If the Indus flow ebbs, it will be critical for Pakistan’s food and water security. Happily, nobody’s expecting that in the foreseeable future. Long-term, beyond 2050, nobody’s even hazarding a guess because of the sheer complexity of the region, let alone the climate change parameters. 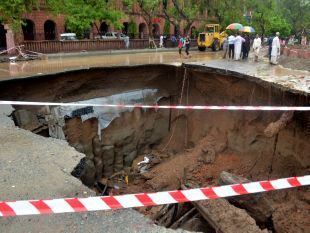 But nobody’s expecting improvement, and the sooner Pakistan begins to prepare for the evil day and build infrastructure to cache monsoon rains and floodwater, the better – because Pakistan’s sources of water are not expected to increase but its population is. Desalinating seawater isn’t a feasible option for thirsty Pakistan either, or even just for Karachi. The huge cost of building desalination plants is just one obstacle. Another is ongoing expenses: desalinating water is energy-expensive. So is adding back essential minerals removed from the water. There ought to be a law. In fact there is, but there’s no enforcement, the Pakistani Ministry of Agriculture itself admitted in 2012. 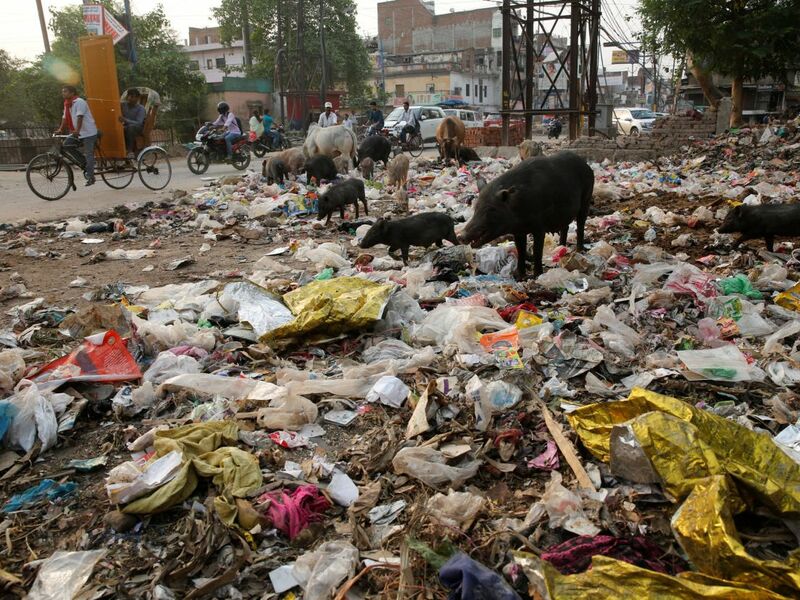 The only cities treating wastewater at all – less than 8 percent at that – are Islamabad and Karachi, it said. Farmers irrigate with sewage, a recipe for disease. “There seems no national policy in effect on sustainable use of wastewater in this country,” the ministry observed. And that hasn’t improved, according to a 2015 paper in the Journal of Water Resource and Protection: “Human health is facing serious problems due to deteriorating drinking water quality. 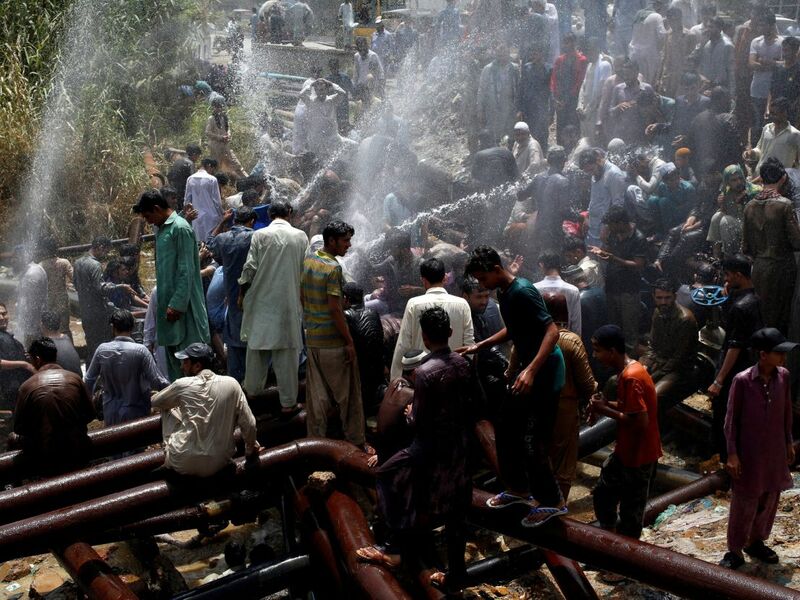 Pakistan has developed many water laws,” but does nothing to enforce them. It can’t control Indian emissions, but mismanagement and enforcement are things Pakistan could tackle if the people cooperate. The will seems to be developing. Shafiq owns a general store in Karachi’s busiest market, Boltan. “We should pray to God and ask his forgiveness. The warm weather is because of our wrong deeds. Our leaders are corrupt. That’s why we are facing the wrath in the form of extreme weather,” Shafiq says. Meanwhile, sea levels on the Pakistani coast have risen by 10 centimeters (4 inches) in the last 100 years, says the Asia Development Bank report. By 2100 the sea is expected to rise by 60 centimeters more – and that’s not factoring in land sinkage due to groundwater exploitation, the weight of buildings and more. In 2015, Pakistan’s Standing Committee on Science and Technology shrieked that the riverside cities of Badin and Thatta could disappear underwater within 30 years – followed by Karachi itself by 2060. Yet Badin and Thatta are both inland. “These cities, as well as Karachi, are located in low-lying regions that are related to the Indus River valley and delta,” explains Brenner. “Continued sea-level rise and erosion of the delta, together with unplanned coastal development, are causing the sea to intrude into these regions,” he adds. Mitigating the threats Pakistan faces from climate change alone will require a “concerted effort by the government and civil society at all levels,” the Asian Development Bank points out. Schor seconds that: Water economy is crucial to future survival and it is urgent to talk with the people (and fix leaks). The alternative is to continue creating paper ministries as temperatures and sea levels creep up, the megacities run dry or sink into the sea, and starvation spreads as crops fail. The future of the Himalayan snowcap may be obscure, but the trajectory of the subcontinent is not. Pakistan can’t save the world unless it suddenly decides to and becomes extraordinarily persuasive, but it can save its people from a lot of distress. If it decides to.